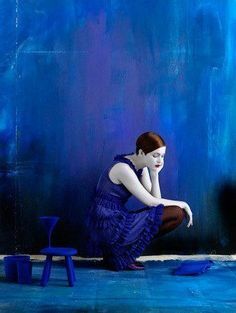 For the purposes of this post, the term “blue mood” is used to describe a mild form of depression, but one that is chronic (i.e., lingering through the life-span). For the person with Asperger’s (high-functioning autism), a blue mood often begins in adolescence due to his or her lack of social skills and inability to fit-in with the peer group, being criticized, teased, bullied, and ostracized – all of which usually result in low self-esteem and a preference for social isolation (i.e., preferring to be by oneself). Ridicule and rejection often takes its toll over the years, resulting in not only a pervasive blue mood, but also an element of paranoia in the mind of the “Aspie.” In other words, he or she is so used to being mistreated (emotionally and/or verbally) that he or she comes to expect it. Being highly suspicious of others, preparing for an attack of some kind, and jumping to defensiveness very quickly is not uncommon in adults on the autism spectrum. In addition, it is not uncommon for the “blue” Aspie to use drugs or alcohol to try to relieve his or her despondency and other unpleasant emotions. Oftentimes, autistic adults’ paranoid tendencies result in a self-fulfilling prophecy. In other words, their “expectation of ridicule and rejection” leads them to say or do something that provokes the very negative response from the other person that they so dread. For example, in anticipation of a critical comment, the Aspie may deliver one first, inciting the other person to return the criticism. This, in turn, convinces the Aspie that others and indeed “out to get” him or her. Unfortunately, many people with Asperger’s not only had to endure various forms of social stress throughout the school years, they now experience much of the same at their place of employment. Many have reported bullying in the workplace. The main venue for the Aspie’s retaliation against others for past hurts tends to be online (e.g., in chatrooms, forums, etc.) where he or she can chastise others, yet remain fairly anonymous. The typical Asperger’s adult does not have the confidence or social skills to stand up to the “offending party” face-to-face. As adults, Aspies with a blue mood experience little joy in their lives. They tend to take life too seriously, and to take other’s comments and behavior too personally. In fact, many Asperger’s adults that I have worked with are unable to remember a time when you felt happy, enthusiastic, or motivated. They often report feeling as though they have been in a one-down-position their entire life. A blue mood appears to affect more women than men. Many of these women report feeling mildly, yet chronically depressed to the point that it seems to be a part of their personality. Kara, a female with Asperger’s, had this to say: “Well I have AS and people are always telling me that I need to change who I am to become more outgoing and social. I don't think there's a problem with me. That's just my personality, part of who I am. Having a blue mood may be associated with the presence of personality disorders (e.g., avoidant, dependent, histrionic, borderline, and narcissistic). However, it is difficult to determine the extent to which a personality disorder is present since many of the long-term problems of having a blue mood affect interpersonal relationships and how the Asperger’s individual perceives him- or herself. If the Asperger’s adult finally seeks treatment, it is not uncommon that he or she has had this problem for a many years. Because a blue mood tends to develop in adolescence, the Aspie may believe that it is normal to always feel this way. He/she does not realize that the quality of his/her mood is anything out of the ordinary. So, it often goes unnoticed and, therefore, untreated. The symptoms of a blue mood tend to be chronic, yet the affected individual often does not seek treatment unless he or she develops major depression. Having a blue mood increases the risk of developing major depressive disorder. As one man with Asperger's stated: "I believe I have suffered from the blue mood most of my life. I don't remember ever being truly happy. Sure I was excited when my children were born and this past summer when I took my two boys to Boston was really cool and maybe I was happy for a brief few days but in my mind I knew that at the end of that week I was going back home, back to the reality of my life and my broken marriage. I have never felt whole because I always had unanswered questions about who I really was. I knew that I wasn't normal but didn't know why. When I got diagnosed with Aspergers that answered who I was but resentment sank in. There were so many things I would have done differently if I had known who I was. I would have chosen a different career and many other things. Yet now, at 51 years old it is too late for many of those things. 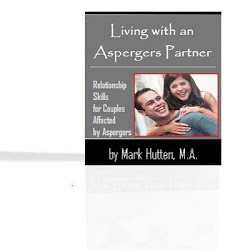 Because of the Aspergers and all that goes with it I had to retire from teaching and my marriage is done. After 28 years of marriage my wife just can't live in the so called circus anymore."